It doesn’t matter, how many breaths you take. What matters are the moments that took your breath away? Buying your own home is one such moment. No matter what status of life you are at, the decision of buying a home is always a huge commitment. I have seen that there is a huge upward trend of buying a home during the festive season as it is considered to be auspicious. The Indian sentiments of festivity and offers floating around make it more attractive and lucrative. However, such decisions should not be impulsive but well researched and considered. Here are a few pointers that you should keep in mind before planning to buy a home this Diwali. Research the builder and his previous projects. Check if he has given timely delivery, quality of previous constructions etc. Don’t only go for the picture or offers he promises on his new project. Hire a lawyer to proofread documents like 7/12 agreement, title deed etc. which can confuse anyone as the legal jargon at times gets tough to comprehend and you might miss on an important point. Figure out the add-ons: The final cost of the house has a lot of add-ons like stamp duty, house registration, building maintenance fee, parking etc. so check those numbers and keep them in mind. After which you should figure out your monthly EMI using a home loan calculator. Allocate the add-ons accordingly and if it all fits in. It will be a relief before you buy a home. I know of a few friends who pulled out of an investment after a few months because of this lack of foresight and lost money. Compare home loan rates. A good idea will be to figure out rates for woman ownership or co-ownership or senior citizen your home loan eligibility. You might be eyeing a place but the bank may not give you a 90% funding. So before you make your mind to purchase, it makes sense to find out your eligibility using a home loan eligibility calculator. If you are buying a house make sure you know the infrastructure that is going to be built around that. Connectivity to prominent places in the city and to your work and kid’s schools. A pretty home/building is as important as the infrastructure around it. The market experts say that a good portfolio mix of investment should between equities, debt instruments and real estate and in 40:20:40 mix. When it comes to investing in a home that you will rent, you should also consider, rent minus maintenance charges in returns. If you have researched and taken care of all the above then Diwali can be a good time to invest as a lot of builders try to push the buying sentiment by giving interesting offers like cutting prices, or giving the option of not paying the EMI for the first two years or give a car etc. 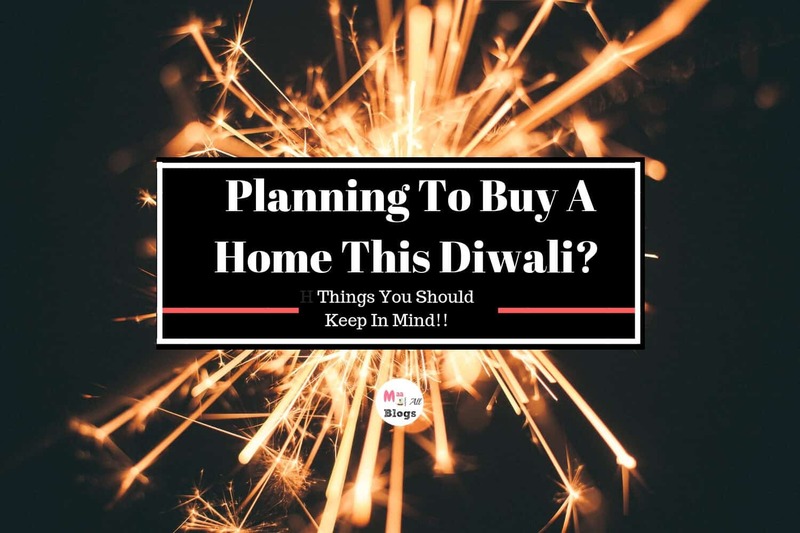 Diwali may run the sentiment deeper to buy a home but make sure you do your research before you take a call to invest in something which digs deep in your pockets. Happy Diwali!! Diwali is the season of joy and bringer of light and what better way than with your own home. Your compilation covers all important aspects one must follow to ensure they get the best out of their investment. Buying a home requires decisions far beyond financial arrangements. Infrastructure development and return on investment are important too. Diwali has great offers on the property. Happy Diwali to you too! Thanks for this useful information. I especially agree with you about hiring a lawyer to read all documents and agreements beforehand. I am a lawyer myself and I know how difficult this can be for laymen. Right post at the right time. Diwali is a lovely time to get a home but we need to understand and checks the mandate before deciding on home loans and more. These are very useful and important points we should keep in mind while buying a new house or a property. Thank you for sharing and helping me in way as I am planning to buy a home soon. Yes we are thinking to buy our new house, thank you for sharing this with me. This would be really helpful in selecting the best house. Ones of my friends are keen on buying a house this Diwali. I really liked the tips that you shared here. I’m so sure this will help my friend make an informed choice. Thanks for such an informative post. I had never thought of calculating the total cost including the stamp work and other duties! This post is really helpful and gives a good insight! Researching about the builder is also very important! Awesome tips really. Comparing loan rates is very important before buying home. Hiring a laywer is new for me. Thanks for the tips. This list is the most apt and perfect checklist for anyone venturing into buying real estate. It is such an important decision to make and that makes it crucial for the person involved to know the pros and cons of it. 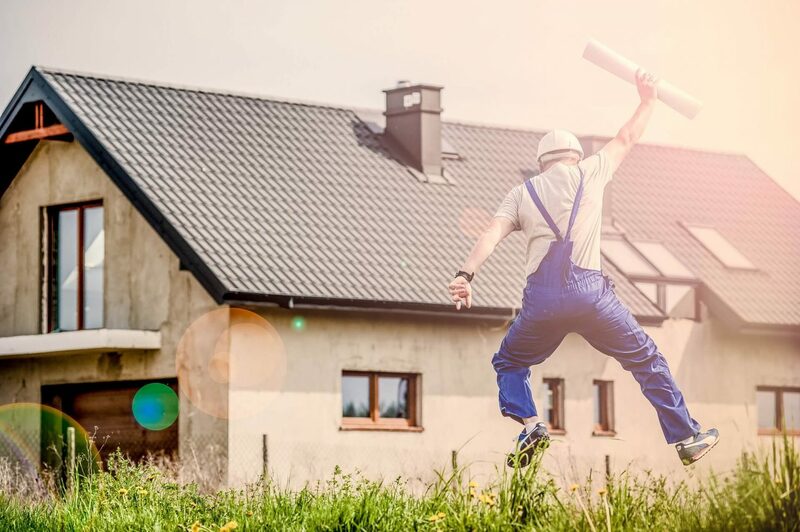 Buying a home is such a happy ocassion and on the other hand, it’s not that easy as there are a lot if things to take care of before finalizing a home. You shared great tips to make it easier for home buyers. Mentioned above. Buying a house is a really big deal as you put in all your life’s saving in it. So one has to be really careful. Ya, exactly. For everyone without fail, buying a house is a huge investment so they need to be cautious. Great tips for buying home. I remember when we were about to purchase our first home we took care of all of these points and thankfully though it was our first time but we fared well. You were a smart and aware buyer. Thanks for this post prerna my sister is planning to buy home and this will surely help her will share this article with her thanks for this wonderful article. That’s wonderful to hear Roshni. Wishing her luck :).